It is important to know how and why to report exposure incidents. Properly reporting exposure incidents can help reduce your chances of becoming sick as well as reduce the likelihood of future incidents. It is important to report any exposures to bloodborne pathogens. Your report can help your employer identify possible safety issues and reduce the risk of future incidents. Your employer should know about any incidents that have occurred. 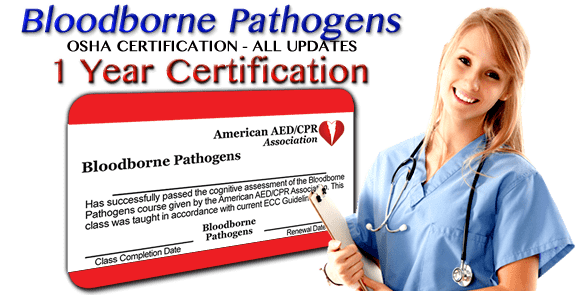 If you have been exposed to a bloodborne pathogen, your employer may send you to a healthcare professional for evaluation. Your employer’s exposure control plan should have information on who to contact after exposure occurs. Ask your employer or supervisor for more information. If you’ve suffered a serious work-related injury, your employer may need to complete Occupational Safety and Health Administration (OSHA) Form 300 (Log of Work-Related Injuries and Illnesses). Your employer must keep employee medical records and injuries confidential in order to protect everyone’s privacy. You or your supervisor may have to complete another form as detailed in your workplace’s exposure control plan. Your employer may make a confident medical evaluation available to you after you have been exposed. This medical evaluation may include blood tests checking for specific bloodborne pathogens.